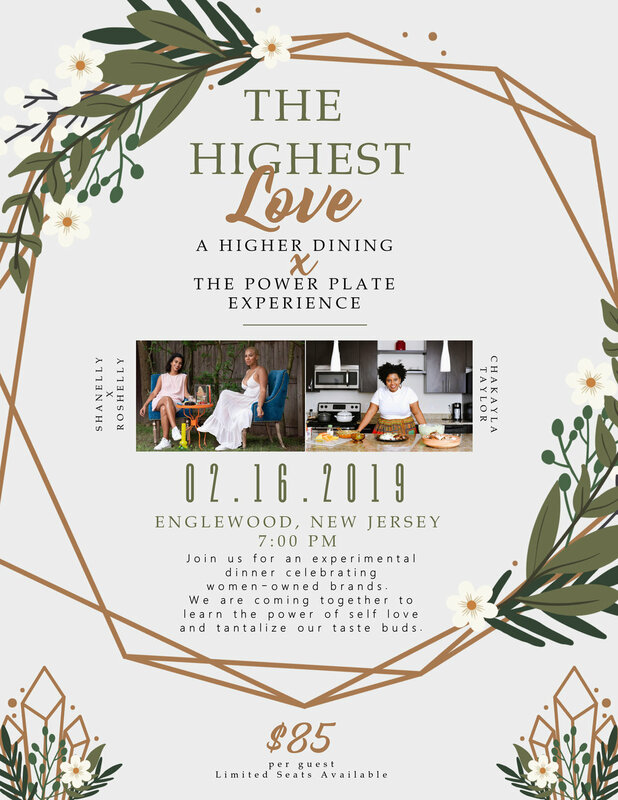 Dinner will be served in Englewood, New Jersey on February 16 at 7pm. To celebrate the ultimate idea of love, we have curated a very intimate evening focusing on the most important LOVE- the love for oneself. We will be spotlighting the importance of having a sensual relationship with oneself. Through food we will reveal aphrodisiastic dishes and speak on unveiling the power of internal-sensuality. Join us for romantic fare and a delicious selection of unlimited wines. This event will be held in Englewood NJ, address for the event will be disclosed two days prior to the event. Please note this is not a medicated/infused event. Everyone is welcomed.